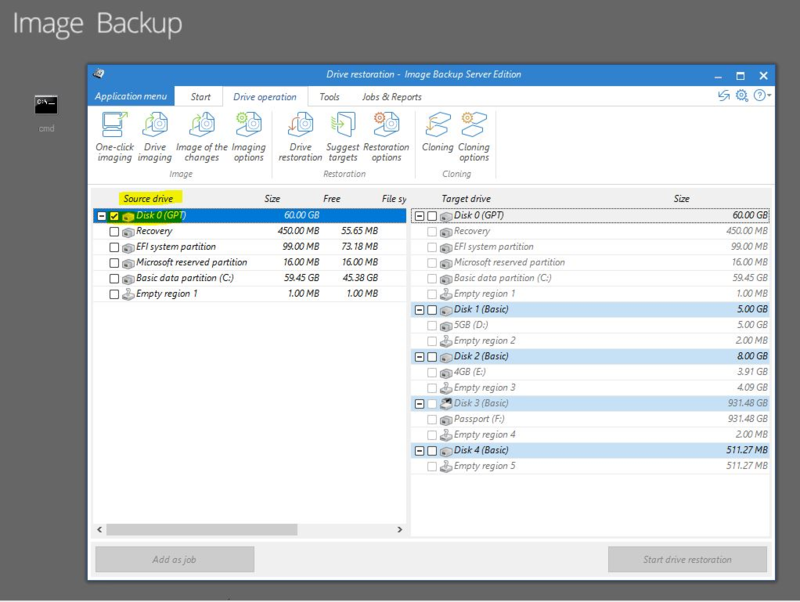 Version 19.2 introduced a new Disaster Recovery boot disk (DRBoot) for restoring an Image Backup of a System Partition. 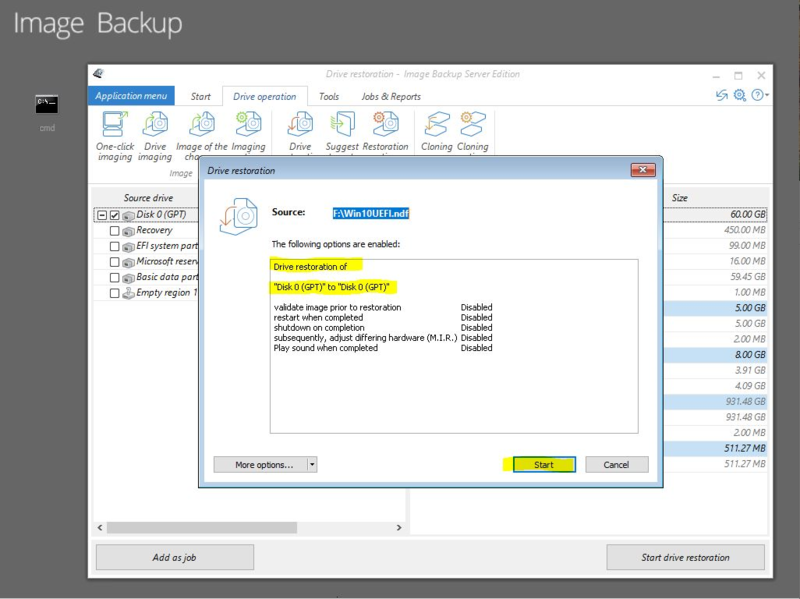 Here is an article on how to create scheduled backups with retention policies. 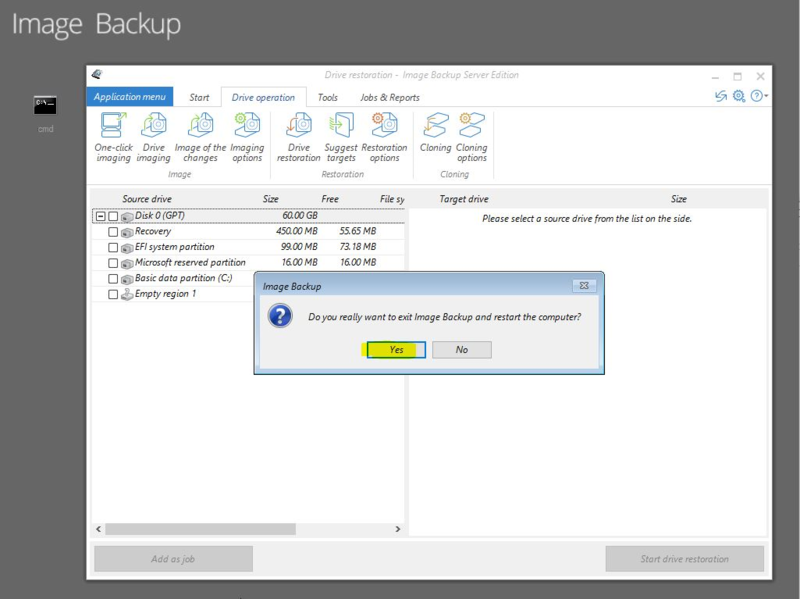 It includes how to schedule an image backup for disaster recovery scenarios. Here is an article on how to create a bootable recovery disc using simple or advanced mode. 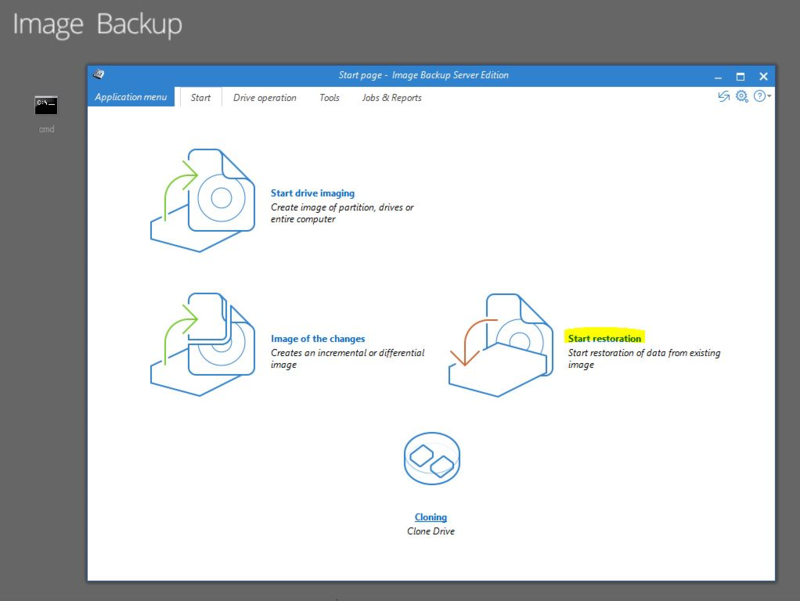 Note: The new Disaster Recovery environment does not support restoring to a smaller drive than the original drive at this time. The first thing you are going to do is start the computer. You will need to know which key on your PC's keyboard to press during the startup screen to enter your "Boot Device Menu". From there you will select your optical CD drive or USB flash drive as the first drive in your boot-up sequence. 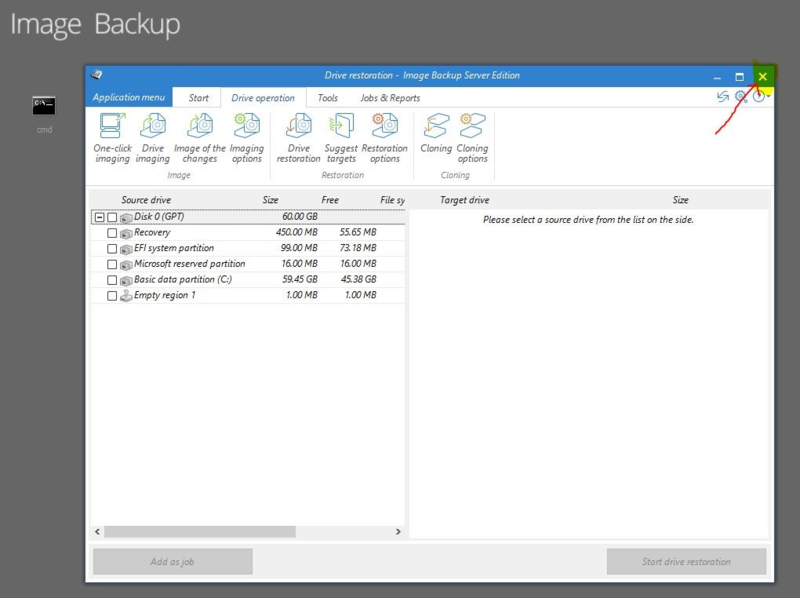 This will allow your system to access the recovery boot disk media which you will have already created, rather than attempting to boot from your hard disk. Note: We DO NOT recommend using a DVD disc as your recovery boot disk, as a number of DVD drives experience problems when attempting to use bootable disc media. 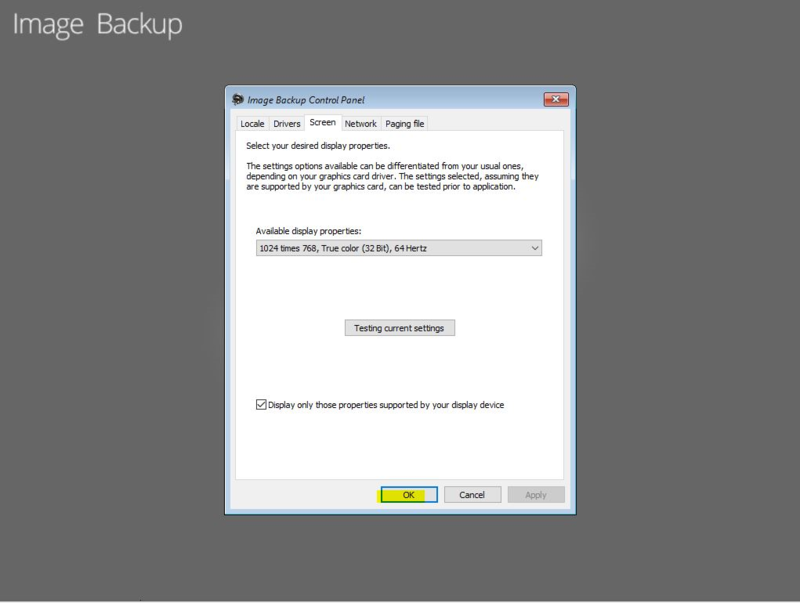 1) Confirm your display and networking settings needed to start the environment using the Image Backup Control Panel dialog. Click [OK]. 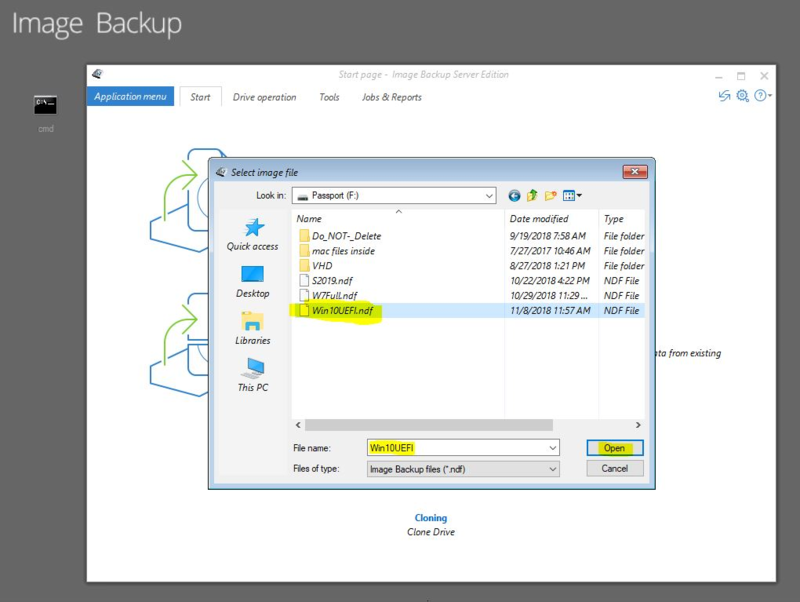 3) Locate the Image Backup File (.NDF) to restore from. Click [Open]. 7) Confirm the settings. Click [Start]. 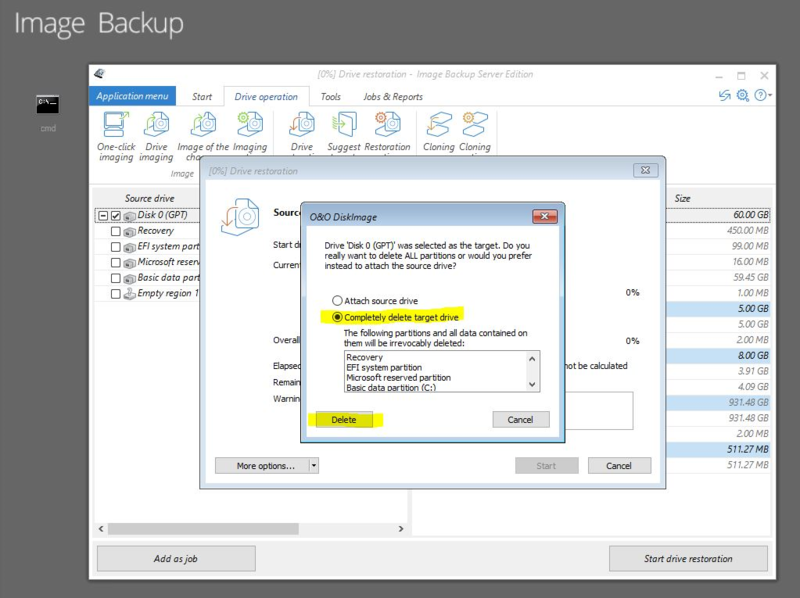 8) If data exists on the Target drive, a dialog will appear confirming you wish to "Completely delete target drive". Choose [Delete] to replace the contents of the Target drive. 10) A Dialog will appear when the restore process has completed. Click [Close] to finish. NOTE: a dialog will appear to confirm settings. 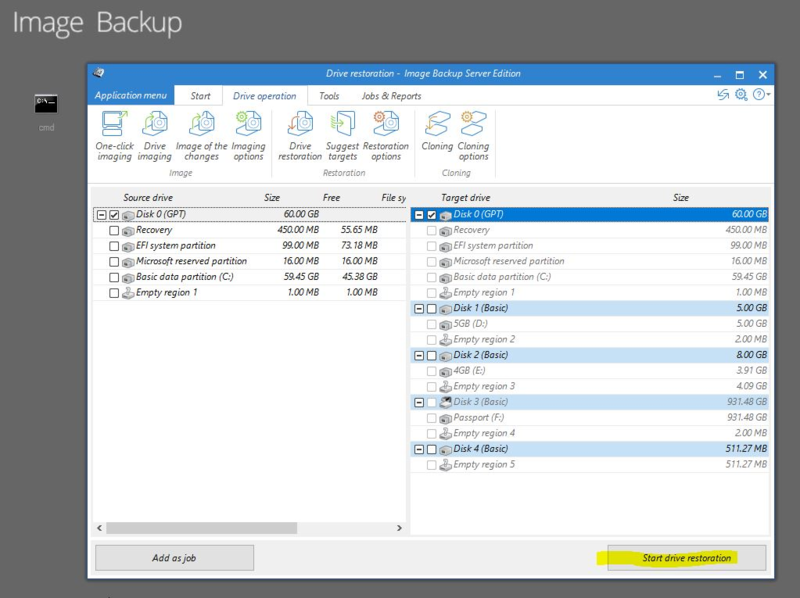 NOTE: This prompt will appear if you select any partition that already has data on it, to perform the restore you must [Delete] the previous contents.